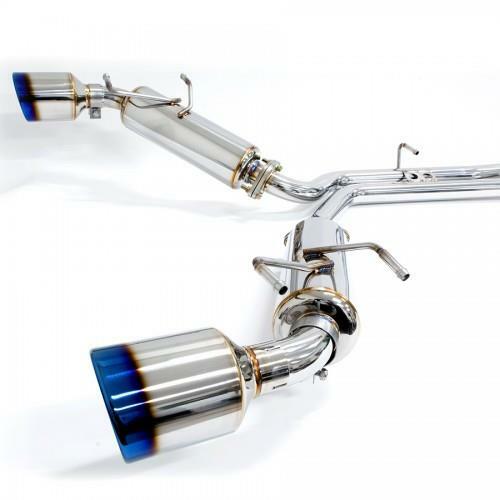 BLOX Exhaust System - Stainless Series - Dezod Motorsports Inc - Home of the automotive performance enthusiast since 2002. BLOX Racing is pleased to introduce its new line of stainless steel exhaust systems. These units are constructed from 100% T304 stainless steel. The complete system is mandrel-bent for consistency and precision, and TIG-welded to provide durability and reliability against breakage. The system features CNC machined exhaust flanges that measure 8mm thick. Designed in Japan for BLOX Racing.